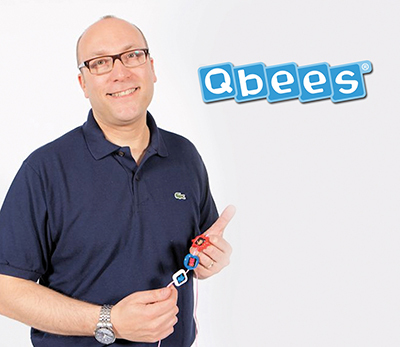 Qbees – Perfect personalised presents! 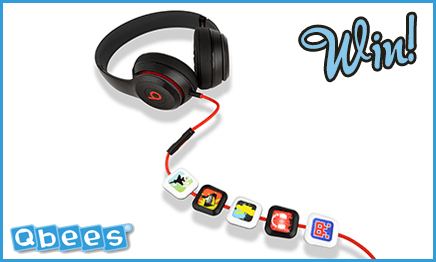 We’ve found a fun and colourful way to personalise your kids headphones and stop the arguments about who’s headphones are who’s – and it’s just in time for Christmas – meet Qbees! LittleBird have been lucky enough to speak to Qbees creator Jason Palmer and find out the backstory to this new way for your kids to personalise their headphones. Plus we have an exclusive 15% off code for you to use this Christmas – LittleBird15%. Welcome to Platform Inspiration, a company, with a unique product, brought to life in part due to the new technology of 3D printing! I am a father of two, happily married to my wife Sue, and have lovely two kids, Max and Ellie. My ‘day job’ as I call it, is working in travel, in my role as sales and marketing executive, but my passion is product development! Like many people these days, one job just isn’t enough, and I have been looking for my ticket to (wage slave) freedom for over a decade, and when my idea hit me (on the Central Line) I knew I was onto something. To say it is not easy to bring an idea from concept to actual on the market status would be an enormous understatement, it has however been an incredible journey, demonstrating that there are many people out there ready to help star-chasers like me, realise our (potential) dream of financial independence and of course, seeing your product selling, and people enjoying it! The product, Qbees has taken approximately five years to develop, the last three being the most intense… working in garages, meetings after long days at work, emails at all hours and lots of money of course. We are really just at the start of our journey, as we have only been trading for a year, but the signs are good, we have had lots of interest from potential investors and also we are seeing interest from corporate organisation about the commercial use of Qbees, including amongst others international airlines, so exciting times! My dream was always of commercial and financial success, but after these hard years of work, if I am honest, seeing Qbees succeed to make people happy (and buy them of course) is much more important in the short term for me. I originally had the idea of Qbees on the London Underground as I mentioned earlier, at Leytonstone station… for me nothing could demonstrate success, than travelling to London, and seeing my Qbees on peoples earphone cables carriage by carriage… I look forward to that day! Fancy winning yourself some Qbees?